If you have a dead tree on your property, you have a problem. Dead trees can wreak all sorts of havoc. A falling limb can cause injury or it can damage your property. A leaning tree can uproot and cause even more damage. Beyond that, dead trees attract termites, mold, and other unwanted pests. If that weren’t enough, dead trees can be a real eyesore. Fortunately, if you live here in Houston, you can count on us here at JRP Tree & Demolition to safely cut and remove any and all dead trees on your property. Let’s talk about when you should remove your tree, how we take out trees, and why you should choose JRP Tree & Demolition for your next project. When Should a Tree Be Removed? 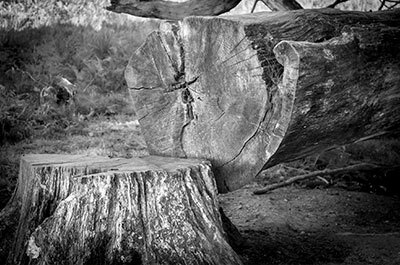 If you’re uncertain whether or not your tree is on its last limb, have us over to take a look. As certified arborists, we can assess the health of your tree and we’ll notify you of the best plan of action. That said, you may be able to tell if your tree must be removed yourself. If your tree is missing leaves on all but a few branches, it’s likely at the end of its life. In addition, if your tree is missing bark around its trunk, it may need to be cut down. Trees that are damaged by lightning or severe winds may also need to be cut. Take note, we provide emergency tree services for such occasion! How Does the JRP Crew Remove Trees? Depending on the size of the tree, it may be necessary to cut and disassemble your tree chunk by chunk. We’ll climb, tether, and cut your tree until it is safe enough to topple the rest of the tree. We make safety a priority, and always take into account your property and the safety of its residents as we remove dead trees. Here at JRP Tree & Demolition, we strive to make your property beautiful, and we have the tools, technique, and experience to do so. We have nearly three decades of experience in the industry, and our company is family owned and operated right out of our base here in Houston. If you’re ready to get started, feel free to get in touch with us to get a free quote!